Create the perfect atmosphere with wedding ice sculptures that will be remembered long after the event. 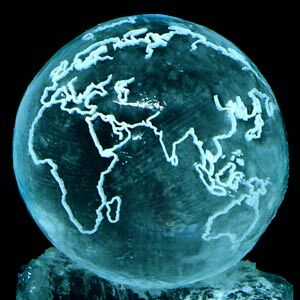 Ice Art will design and carve the perfect sculpture for your special day, to tie in with your décor and add a touch of romance and elegance to your wedding. We also offer sculptures for any other party you wish to host, whether it’s a 21st birthday, anniversary, engagement party or a hen night with a difference. 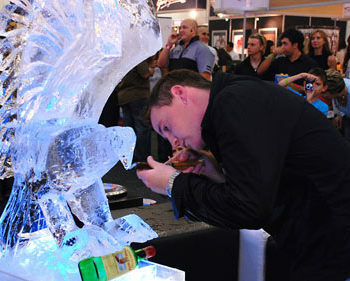 For an added thrill, we are also able to do live ice sculpting, for a memorable and thrilling main event that is sure to be a huge hit with guests of all ages. 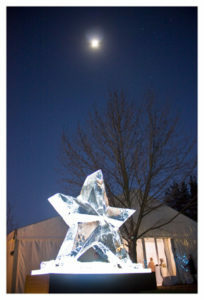 To learn more about our wedding and party ice sculptures, keep reading below or contact Ice Art for details or prices. Picture the scene… the beautiful bride stands next to her dashing groom, radiant and glowing as they pose for pictures. In the background, a towering ice sculpture gleams under the soft lighting, adding the perfect touch to the setting. 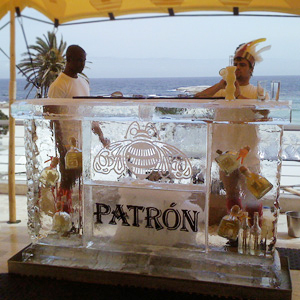 Make your wedding décor cooler than anything you could imagine with a spectacular ice creation that will have your guests talking for weeks after your special day. Ice sculptures for weddings are also perfect for those all important wedding photographs, capturing the wonder and enhancement forever! 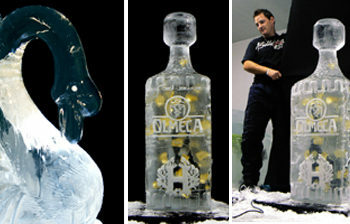 Whether you’re planning the biggest birthday bash this side of the hemisphere, or need a truly special show stopper for a bar mitzvah, hen night, engagement party, retirement party, office party, cocktail party or any other special event, Ice Art will ensure that you have the right ingredient for a party to remember. 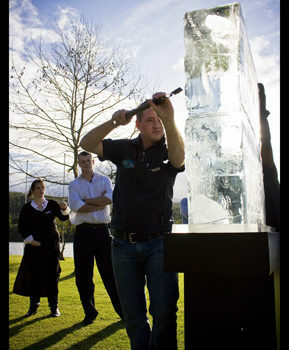 Our sculptures are crafted from high quality ice blocks, using a range of specialist tools. For an added thrill, book a live sculpting and watch the magic happen as your creation comes to life. This is the ultimate addition to any function – make your bash a hit with birthday ice creations from Ice Art, and give your guests something to talk about! All of our sculptures are either created in our freezer, or live on site. 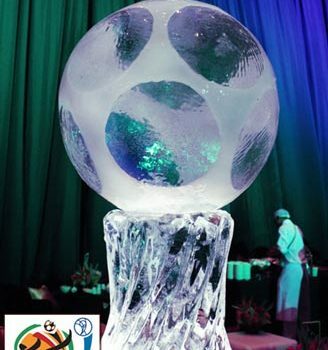 For prices and more information on wedding and birthday ice sculptures, contact Ice Art today.